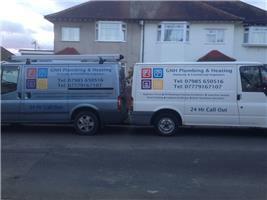 G N H Plumbing & Heating - Central Heating Engineer, Plumber based in Leigh-on-Sea, Essex. G N H Plumbing and Heating Ltd are your local, friendly, professional gas company with over 17 years of experience. Any gas and plumbing work undertaken, we are fully qualified domestic and commercial engineers and are fully insured. We offer services including 24 hour call out, boiler upgrades, complete system upgrades, power flushing, bathroom installations, appliance servicing and gas safety checks, gas fires fitted and serviced and appliance breakdowns. We cover all of Essex and surrounding areas.